Hectic lives, multiple deadlines and social media-led FOMO – the kind of busyness that is all-consuming and frantic. City life and work life collide to bring together a certain kind of fatigue that nothing can cure. Reason why I decided to take life into my control and a visit to a wellness retreat was in the plan. After much searching, the Dharana Wellness Programme at Hilton Shillim Retreat and Spa came about as the best option, a wellness weekend getaway, only a 3-hour drive from Mumbai. 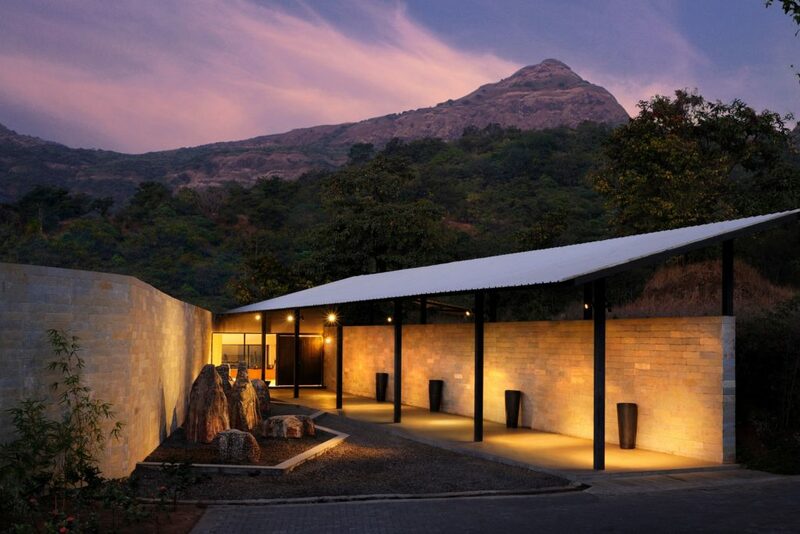 Nestled in the Sahyadri mountains, this well-known spa resort is 4 km from Pawna Lake shore. 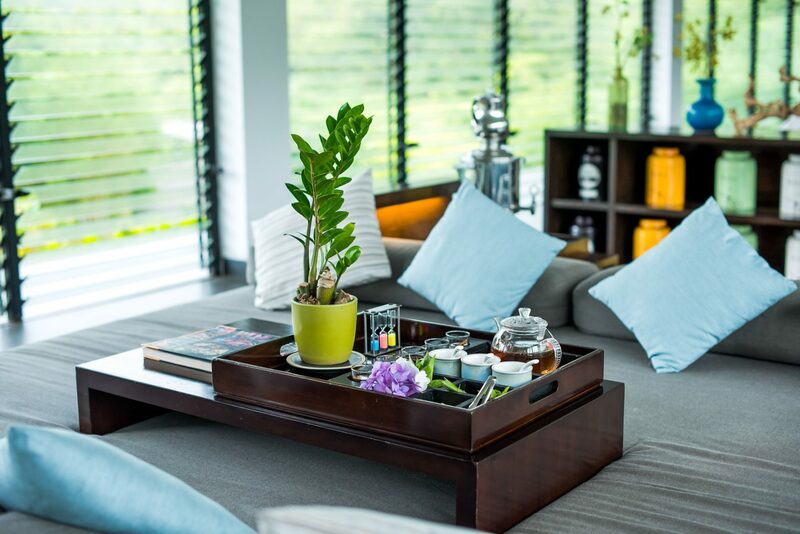 Wellness retreats are the new way to unwind from our busy work lives and busier social commitments – the new trend in wellness where one gets to enjoy nature, revel in the seemingly calm spa treatments and detox the body with some healthy fare. 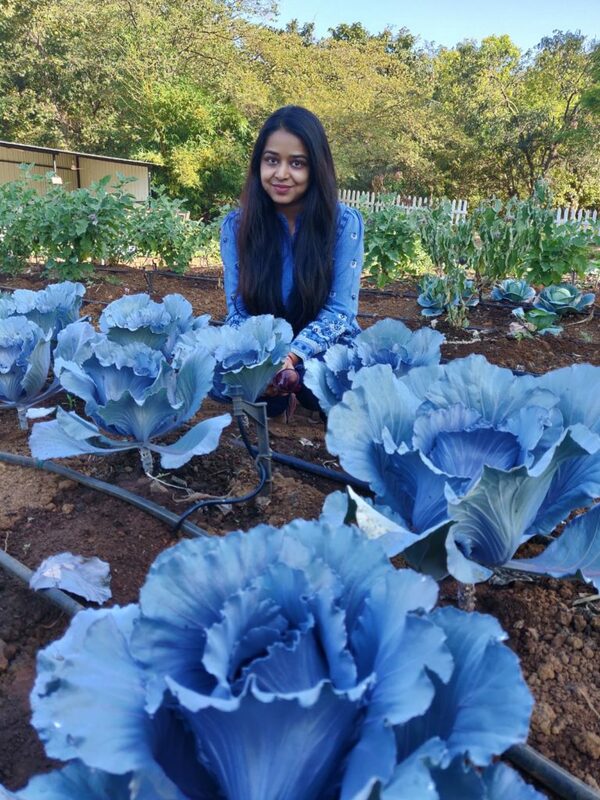 A farm-to-table initiative is a welcome addition to the wellness programme as it facilitates healthy living, a habit one needs to carry on back to the city. 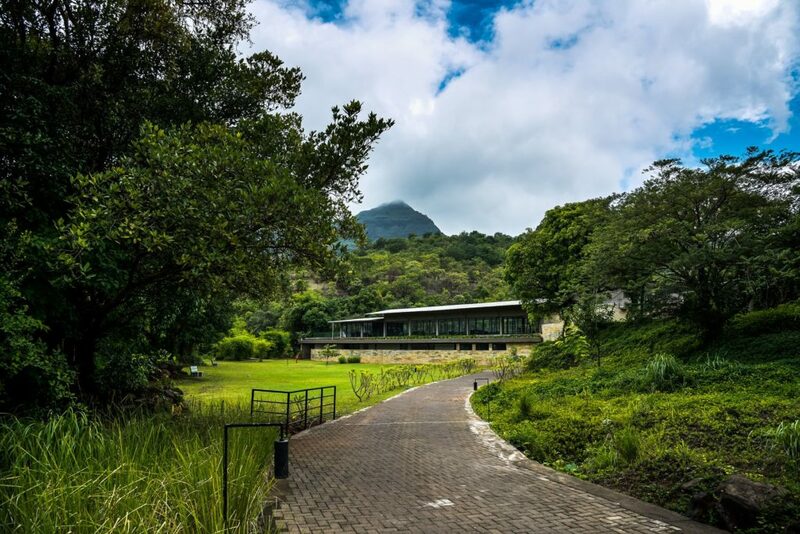 And so the journey to wellness began to the mountain village of Shillim, tucked in the Western Ghats where pristine nature meets unmatched luxury. The goal was to embrace the Dharana Wellness Programme at Hilton Shillim Retreat and Spa and to surrender to the lure of relaxing rituals in the lap of nature, the promise of garden-fresh menu and the allure of golden sunsets. 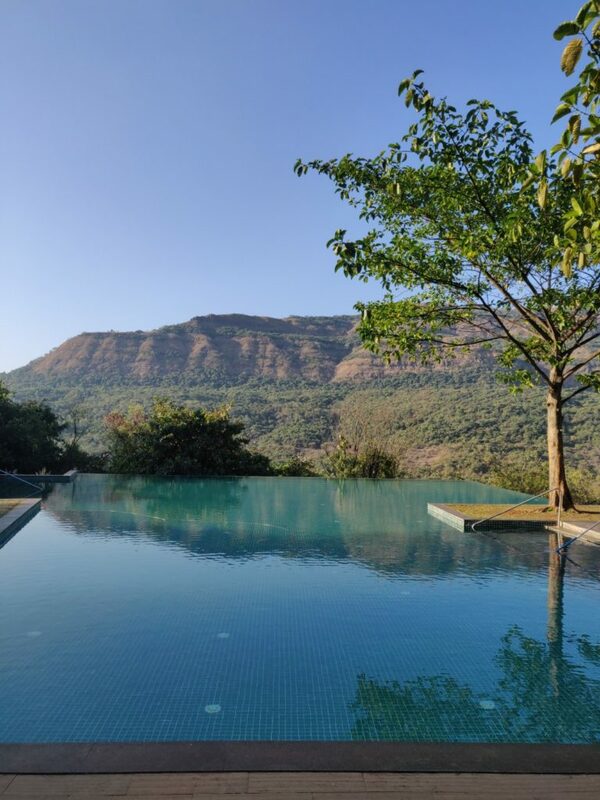 Overlooking the untouched Sahyadri range, the huge property is divided into Leisure and Wellness sections with the Shillim Institute in the epicentre. Those who enroll for the Dharana way of life are swept away – from the tempting and breathtaking infinity pool, Mediterranean restaurant Mountain Bar and the exhaustive spreads of Terazzo dining area – and are thrown straight into the wellness zone. The 70-acre area with 17 treatment rooms (offering everything from Ayurvedic massages, acupuncture and acupressure, Reiki, Shamanic therapies, hydrotherapy and colon therapy), meditation cave, yogashala, a heated spa pool and an organic restaurant – is one of the largest spa facilities in Asia. Each grey stone and wood villa has design working overtime to not displace any tree and so the walls are built around the greens. The mere sight of interiors — sunlight streaming through the sheer curtains of huge glass doors, overlooking a private pool and private garden – had me swooning. As I started my day, I saw a mini spa set up on the steps of the small pond next to the organic restaurant, Green Table. An indulgent lemongrass foot soak and a foot scrub made of salt, ginger and lemon set the pace. 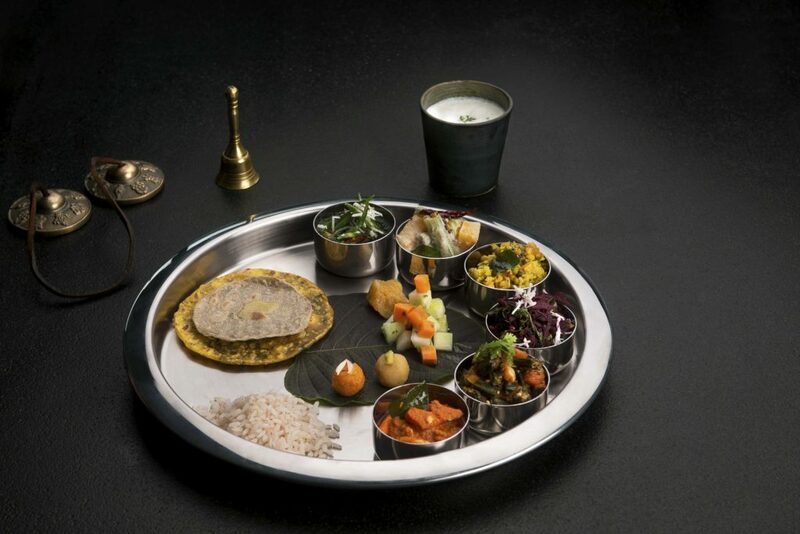 Soon, a piping hot bowl of spinach soup came my way followed by the Tridosha Thali, the most satisfying spa meal I had ever tasted. After an in-depth consultation with the physician, my dosha type was identified and my body composition was analysed, I was put on a portion-controlled, low-salt, dosha-compatible, customized vegetarian meal plan. A page from my food diary looked like this: breakfast – cut fruits, vegetable smoothie, and whole grain dosa/nachni porridge; lunch/dinner – green/sprout salad, vegetable soup and khichdi/roti-sabji/brown rice pulao. Unless you are comparing this to a regular luxury holiday (where the most difficult choice is what to pick from the buffets) the food will not disappoint. The whole idea is to nourish the body, inside out by giving a boost to the metabolism with presence of spices and herbs catered to your body type. The first day of the detox-diet can be a challenge but there are enough activities – from canvas painting to pottery and from yoga to meditation –to distract the rumblings of an almost-hungry stomach. The 320 acre retreat is a part of over 3000 acre Shillim Estate which consists of rice fields, bamboo plantations and virgin forests. Just around the spa centre is the picket-fenced organic garden which had everything from celery, peppermint, thyme and ginger, purple basil to red cabbage, yellow zucchini, strawberries and everything in between… The gardener informs with great pride that the produce of this finds its way to the Green Table restaurant. They are housed in a villa styled treatment room that springs to life with greens and multiple streams during the monsoons. A confession: I do judge a spa by its signature tea. An herbal tea sachet with a cup of hot water may work for a city salon but here, it’s freshly plucked lemongrass with ginger. The Dharana Experience is much more than relaxing body treatments. Once you surrender your time to the spa team, every movement of yours is maneuvered to get you in sync with nature. “Nature walks and treks work as medium intensity cardio workouts. That’s why the retreat has no gymnasium despite the vast expanse of space available,” says Dr Arun Pillai, Director of Wellness at Hilton Shillim. Dharana refers a state of feeling relaxed and at ease that is achieved when one aligns the inner core to the outer environment. At the end of three days as I say my goodbyes to my friends – the trees, birds and the flowers – I must admit that I feel relaxed. The Dharana Way of Life doesn’t really guarantee eternal relaxation but it does leave one with tools to manage the stress that the city brings our way. Quitting is not the option, but managing the stress is how we cope and move forward and the good people at Hilton Shillim Retreat & Spa know that. The Dharana program starts at Rs 1,20,000 for a 3-day program per person, which includes stay, consultation, the activities you indulge in and F&B. Gupta is a beauty enthusiast, always ready to unravel the journey behind the bottle. 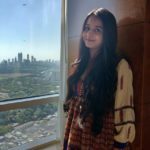 Drawing from her decade-long experience as a beauty editor at The Times of India and Verve magazine, this literature post graduate from Lady Shri Ram College for Women, Delhi University, continues her tryst with beauty as she consults with brands on content and product development. Her blog immerses her readers into the luxurious universe of fragrances, wellness and skincare. Her articles have been featured in Vogue India, Harper’s Bazaar India, Femina and L’Officiel India.